Wild Turkey is a very ubiquitous bourbon that has been around a long time and, like everyone else in the industry, wants a part of the bourbon market that is willing to pay more for limited release and single barrel offering. Frankly, the sheer number of choices of different bourbons out there have increased exponentially in recent years. One of Wild Turkey’s expressions is Kentucky Spirit, a single barrel version of their classic 101 bourbon. First off, I just have to admit it is a cool bottle. Color is you standard copper for bourbon. Nose is vanilla and milk chocolate, with a little rye spice. Palate is very standard call brand bourbon. It’s very familiar. I would choose Wild Turkey over most call brand bourbons like Jim Beam white label, Old Crow, and the like. They do call brand bourbon exceptionally well. But as far as this goes, I am not going to say this lives up to the bottle it is in. It’s just plain old Wild Turkey. On the one hand kudos to the Russells for making an entirely consistent product such that you can pick out a single barrel and it is consistent with the whole. But there isn’t really a point to buying the single barrel stuff if it is that consistent. 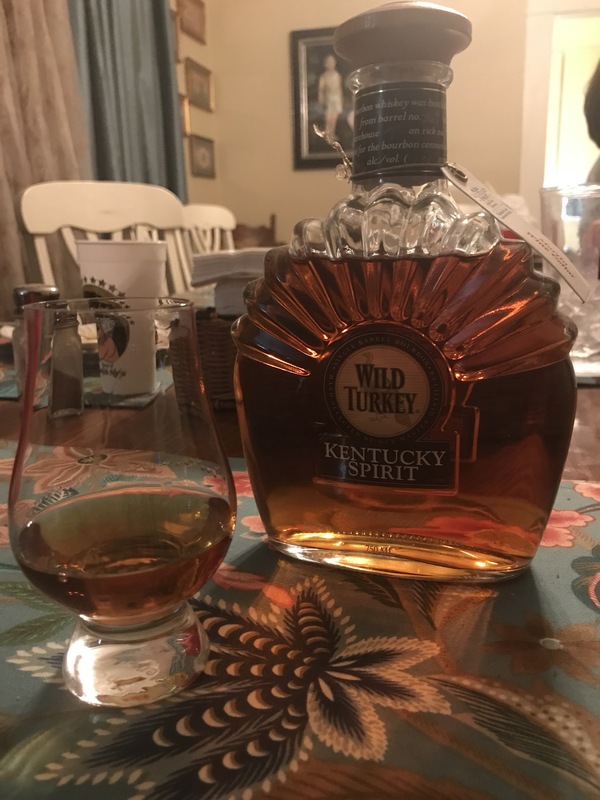 I will say that the nose on this one is a little more intriguing than regular Wild Turkey. I will give this a few weeks to open up and try it again after it opens up.